A very happy birthday to the prettiest girl I know! Never change, I love you just the way you are. There isn’t any other person in this world as charming and as stylish as you are. I wish you many more stylish days for your future! To the girl who makes me happy every day, I want to wish the most amazing day and many more happy years to come! You are the most special girl in my life. The bond we share is uncanny; you know my thoughts even before I have them. You are amazing, a force of nature. You know where you are going and how you are going to get there and no one can stop you. I’m sending a big hug and lots of cuddles to a special little girl that was born on this day! You are still a little girl, but there is tons of love around you. Who could have ever imagined that such a small angel could be the source of so much love? You are growing so fast before our eyes! It won’t be long before you take your first steps or say your first words. You have already blessed our hearts and given us thousands of reasons to smile during your short time with us. We know you’ll touch so many more to come. Have a happy birthday, baby girl! Girl, you are the biggest blessing in my life! I will always love and cherish you. 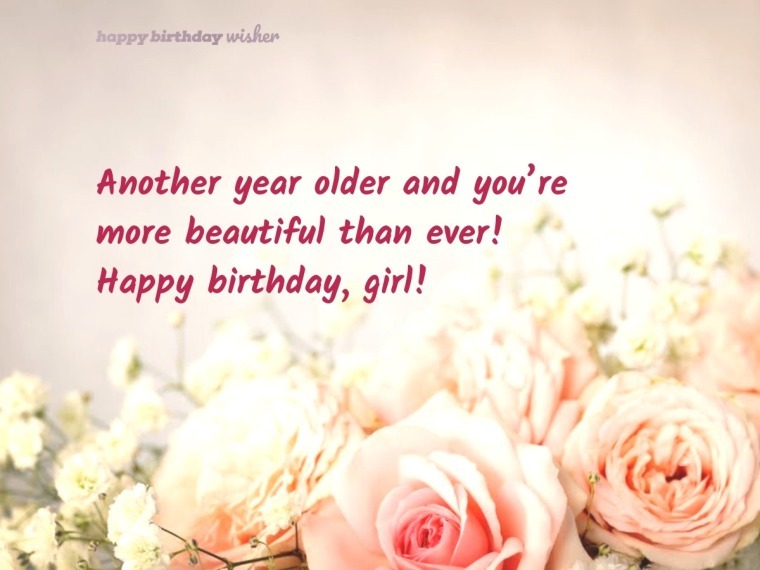 Have a wonderful birthday, my dear!